Fred Schebesta, a co-founder of global personal finance comparison site Finder.com, released in April a Bitcoin price prediction of $7,500 by June 1. With Bitcoin (BTC) prices trading just above $7,600, it looks like his prediction may come true. He predicts the price of Bitcoin will climb to $37,500 by the end of 2018. From today's prices, that's a potential gain of 360.33%. In other cryptocurrency news, Canada announced it would retaliate against U.S. plans to slap tariffs on the country's steel and aluminum industry. Canada said it would place its own tariffs on U.S. steel, aluminum, and several other products. With this and the political turmoil in Italy, more people may turn to Bitcoin as a safe-haven investment. China's President Xi Jinping said that blockchain was revolutionizing the global financial system. The new and disruptive technology has the potential to make smart investors extremely rich over the next decade. So what are the best blockchain stocks to buy in 2018? The Bitcoin company Blockchain has reached 25 million wallets. Founded in 2011, the firm is one of the oldest cryptocurrency companies. The company now has more customers than the brokerage giants TD Ameritrade Holding Corp. (Nasdaq: AMTD) and Charles Schwab Corp. (NYSE: SCHW) combined, according to Blockchain. Ripple CEO Brad Garlinghouse has offered a bullish outlook for his crypto firm. 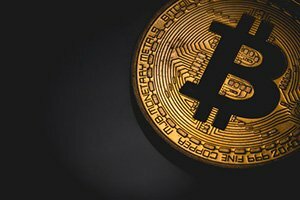 The executive said that he thinks that Bitcoin will have less influence over other cryptocurrency prices in the future. Garlinghouse cited the improving knowledge of other cryptocurrencies and their underlying platforms. "There's a very high correlation between the price of XRP and the price of Bitcoin, but ultimately these are independent open-sourced technologies. It's early, over time you'll see a more rational market and behaviors that reflect that," he said in an interview with CNBC. According to reports, Venezuela has banned the import of cryptocurrency-mining equipment, including hardware, graphics cards, and computers. This is a surprising decision, given that Venezuela is one of the least expensive places in the world to mine Bitcoin. But after 36 years of making millions off stocks, this man is done with stocks for good. He's just cracked the code to creating as much as millions of dollars in new wealth without having to deal with a single unreliable stock ever again.